The governor spoke during a rally in Ikire to mobilise support for APC candidate, Alhaji Gboyega Oyetola. Ikire is the hometown of the APC running mate, Benedict Alabi. It is the headquarters of Irewole Local Government Area. Aregbesola said: “Oyetola attended good schools from elementary to the university. “He has proved himself to be a role model to the youths. “He is hardworking, experienced and competent. “He is a candidate to trust. “You must not allow someone that students cannot be proud of, who the students cannot aspire to be like educationally to rule the state. “Academically and professionally, Oyetola has made his mark. 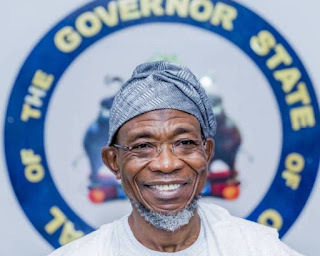 Aregbesola added that the people should not allow “desperate political parties” to reverse the tempo of development of the state. He also commended the people for waiting patiently for the APC campaign train to arrive the council area for the rally, saying: “People like you can only be found in the APC. He reminded them of the achievements of his administration in health, education, agriculture, road infrastructure development among others, saying Oyetola, his erstwhile Chief of Staff, would consolidate on the gains of his government. In attendance at the rally were Deputy Governor, Grace Titi Laoye-Tomori; Speaker, Osun State House of Assembly, Najeem Salam; wife of the governor, Serifat Aregbesola; wife of the APC governorship candidate, Kafayat Oyetola; Commissioner for Finance, Bola Oyebamiji; Oyetola’s Campaign DG, Ajibola Famurewa; and House of Representatives member, Ayo Omidiran, among others.